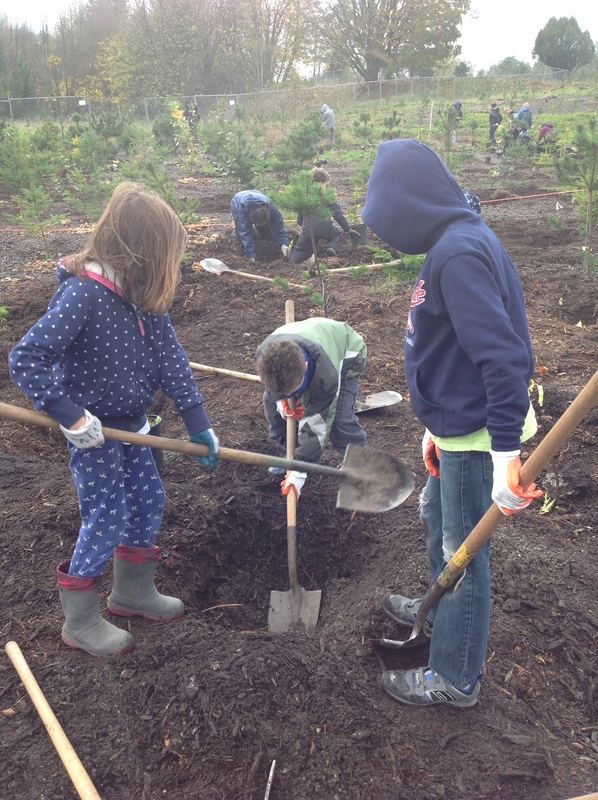 One week after the October Academies, dozens of Ambassadors and families turned out for Seattle Parks’ Green Seattle Day to plant trees and restore the urban forest. But a windstorm kept us from going into the woods. Only a few places were safe to plant in clearings and along roadways. So far you’ve told me of 70+ trees that our ambassadors planted during the big storm last week. Congrats! on getting so many trees in the ground in a storm! One week later, ambassador Torin and friends planted another 25 trees. 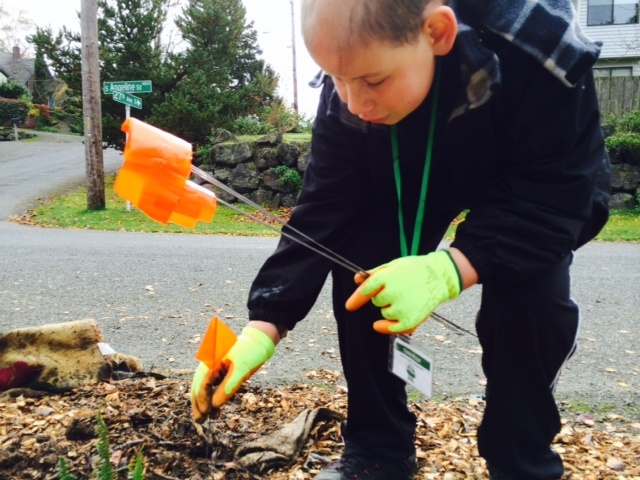 Torin and company planted another 25 trees!